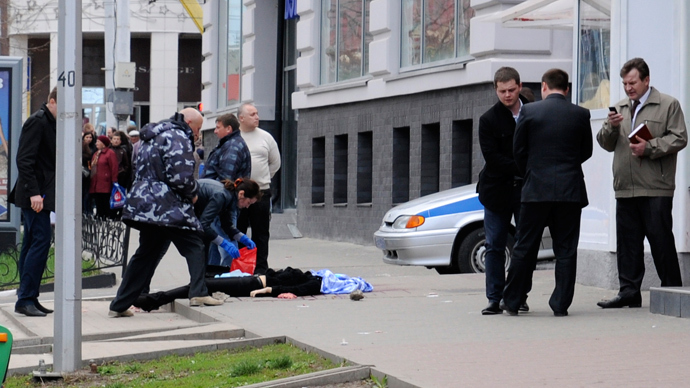 Police are searching for a suspect in the Monday shooting in the Russian city of Belgorod. A gunman opened fire near an arms shop, leaving six people dead and one injured. A 14-year-old girl is among those killed. Police have asked Belgorod residents not to leave their homes because of the special operation. The photo of the suspect – Sergey Pomazun, 32 – and his description have been posted on the internet. Law enforcers also warn that the man at large may be armed with a gas pistol and a semi-automatic rifle. Local authorities say that some 1200 police personnel are engaged in the search for the fugitive. Authorities have also sent a description of the suspect to the Interior Ministry of Ukraine in Kharkiv, Luhansk and Sumy regions. Border and customs controls have also been placed on high alert. Russia’s Interior Ministry has set a big reward for information about the suspect. Belgorod authorities earlier stated that the suspect had been detained by police. However, they then said that the report was published on the local administration’s website by mistake. 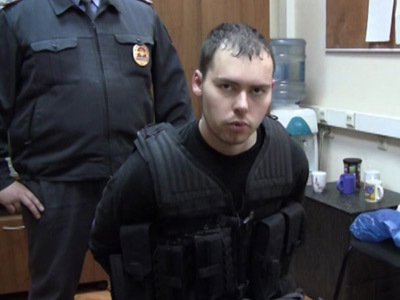 “Information on the detention of the suspect has not been confirmed, the Interior Ministry told us two minutes ago,” the city administration’s press service told Interfax. The man is still at large. Currently, law enforcers are checking vehicles and housing estates in Belgorod and its outskirts, the regional Interior Ministry Department said. His residence was earlier cordoned off by police. While searching the suspect’s apartment, investigators discovered an open safe used for storing weapons, but found it empty. No weapon was located in the gunman’s abandoned car either. About 2pm local time (10:00 GMT) the gunman drove up to a shop in a dark BMW X5. Getting out of the car, he opened fire in the street and then inside the shop. He then managed to flee the scene in his vehicle. As a result of the shooting rampage, four men aged between 28 and 45, and two schoolgirls were killed, police said. One of the girls, a 16-year-old, was taken to a local hospital, but died later in the ICU. She would turn 17 in just over two weeks - on May 9. The Belgorod shooter allegedly used a Kalashnikov-based semi-automatic 7.62 caliber Saiga carbine, popular with hunters, reports Lifenews tabloid. Russia’s President Vladimir Putin is being kept informed on the development of the situation, his press secretary Dmitry Peskov told journalists. The city administration has declared April 23 and 24 days of mourning in Belgorod. The authorities will also cover all the funeral expenses and provide financial aid to the families of the victims. Russia’s Emergencies Ministry sent a team of psychologists to the city to help the grieving relatives to cope with the tragedy. All churches in Belgorod region will hold memorial services for those killed in the shooting. Meanwhile, the residents of the city – known to be very calm and quiet – remain shocked by Monday’s tragedy. Police presence was beefed up in Belgorod with sounds of sirens breaking the silence in now almost empty streets. The suspect has a criminal record and has earlier been convicted four times, “mainly for thefts,” a source at regional Interior Ministry Told Interfax. It is alleged that he attempted to rob the arms shop. Conflicting reports suggest there were two suspects in the shooting, with witnesses having seen them according to some media reports. The two may have reportedly been father and son. According to law enforcers though, the suspect’s father, Aleksandr Pomazun, is actively cooperating with investigators. Some media also stated that earlier the shooting suspect had undergone treatment at a psychiatric clinic. It was reported he had been sentenced to compulsory treatment by a court. However, the regional Investigative Committee did not confirm that information. On the eve of the bloodshed, Pomazun managed to escape road police after he violated driving regulations by driving on the opposite side of the lane and ignoring a red traffic light at a junction, reported Life News tabloid. Belgorod is a city with a population of over 420,000 people. It is located in the south of Russia’s European part, just 40km from the border with Ukraine. An amateur video from the scene shows a killed person lying on the ground. Locals say the shooting sparked panic among residents. Elena Petrenko - a witness to the drama, who works in a close-by supermarket - says they heard the shooting, which they at first confused for fireworks before looking out of the window. “There’s a school near [the shooting scene]. Children were running asunder and screaming,” she told RIA Novosti, adding that the area is generally very crowded with people as there are shops and a central market there. “A woman with a baby carriage and a child in her arms tried to run into a shop, but the salesmen closed the door right in front of her,” the witness added. “Employees of [a nearby] Sberbank office want to close the bank because of the incident. Connection is down. They are panicking,” ‏@anastasiaskull posted on twitter. “The reports are conflicting! So don’t believe anything, just keep safe! Don’t risk your lives!” adds another local resident, @TranceR1. Legally acquired hunting weapons are used only in a tiny fraction of crimes registered in Russia, according to the police. Mass public shootings are also relatively rare, however, there have been several such cases in the last three years. According to Russia’s gun laws, Russian citizens can only buy smoothbore shotguns, gas pistols, or traumatic rubber-bullet revolvers. After five years of safe use of any of the above weapons one is allowed to purchase a rifle or carbine. However, merely having a gun license does not allow a citizen to carry a rifle – it is also obligatory to become a member of a hunting-and-fishing club. In November 2012, a Moscow lawyer shot six of his coworkers to death in an office over a broken relationship with a female colleague. 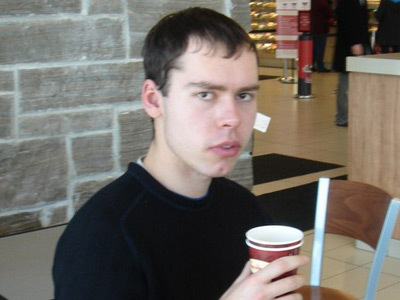 Before the rampage, he also posted an online ‘hate manifesto’ on his Facebook page. The killer obtained a firearms certificate illegally, and it allowed him to carry two sporting guns to the scene of the crime – one of which turned out to be a rifle with 200 rounds of ammunition. Another case that sparked public outrage and enjoyed unprecedented media attention in Russia was a shooting spree and hostage drama in a Moscow supermarket staged by a district police department chief. The ‘killer cop’ gunned down two people and endangered lives of 22 others, injuring seven in the massacre. He also used an illegally-kept pistol to shoot at the approaching police and told them “it would be more fun if I had a machine gun” after he was detained. It remained unclear, whether the policeman got drunk while celebrating his birthday, or if he had some mental disorder, which the court eventually ruled out before sentencing the man to life in prison.